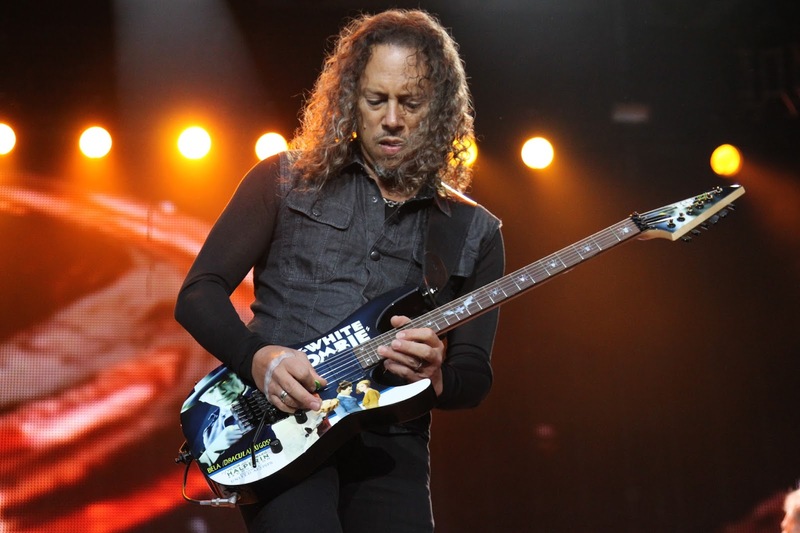 MetalRockNews: Metallica's Kirk Hammett: "Lemmy was the finest of gentlemen"
Metallica's Kirk Hammett: "Lemmy was the finest of gentlemen"
Metallica guitarist Kirk Hammett posted a message about Lemmy on Rolling Stone, you can read the message below. "Lemmy was the finest of gentlemen. Back in 1979 when I was 16 years old, I heard Overkill for the first time. I thought it was the fastest thing I’d ever heard, and I declared to all my friends that Motörhead were the fastest band in the land. And I remember very distinctly having a realization that moment — I realized that it was OK to be an outsider and that it was OK to not feel like I had to conform to anything that I objected to in my teenage life because clearly the Motörhead guys in this picture looked like they didn’t conform to anything at all and boy it sure looked and sounded like they were enjoying themselves as a result. That inspiration will always be there with me and may the music of Motörhead live on!"